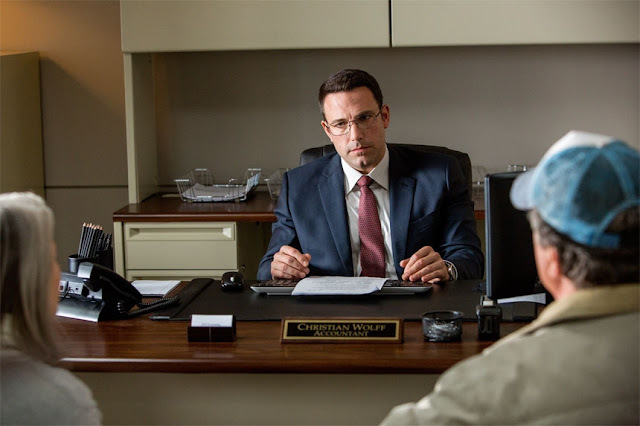 Christian Wolff (Ben Affleck) is a math savant with more affinity for numbers than people. Behind the cover of a small-town CPA office, he works as a freelance accountant for some of the world's most dangerous criminal organizations. 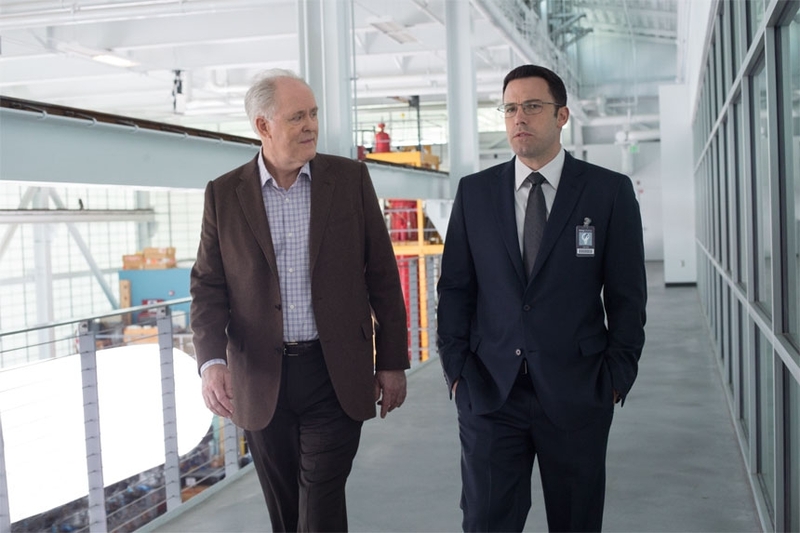 With the Treasury Department's Crime Enforcement Division, run by Ray King (J.K. Simmons), starting to close in, Christian takes on a legitimate client: a state-of-the-art robotics company where an accounting clerk (Anna Kendrick) has discovered a discrepancy involving millions of dollars. But as Christian uncooks the books and gets closer to the truth, it is the body count that starts to rise. THE ACCOUNTANT IS CURRENTLY PLAYING IN THE U.S. AND OPENS IN MALAYSIA ON THE 20th OF OCTOBER. TO FIND OUT WHEN IT OPENS IN A CINEMA NEAR YOU CLICK HERE. 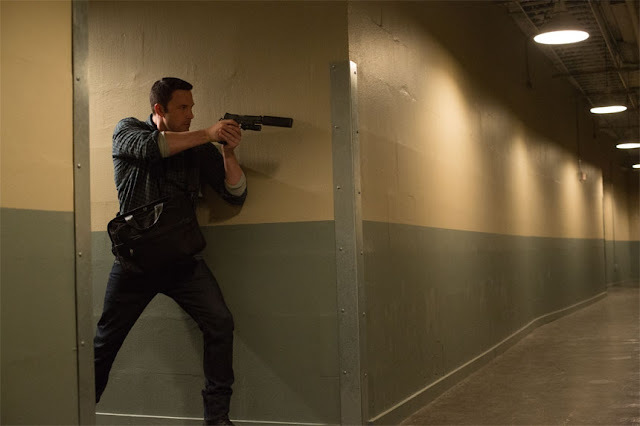 So, Ben Affleck plays the role of Christian "Chris" Wolff who as a child was identified with a form of autism. His father (Robert C. Treveiler) is a military man and doesn't think that sending his child to a psychiatrist/psychologist or a camp for special children like Chris is a good idea in order to understand his child and give him the best possible chance at a somewhat normal future. He has his own idea. His mother (Mary Kraft) after a while gives up on Chris and abandons her family. Growing up his father uses several methods to 'train' Chris to be stronger, to overcome his condition. His brother too undergoes the training. 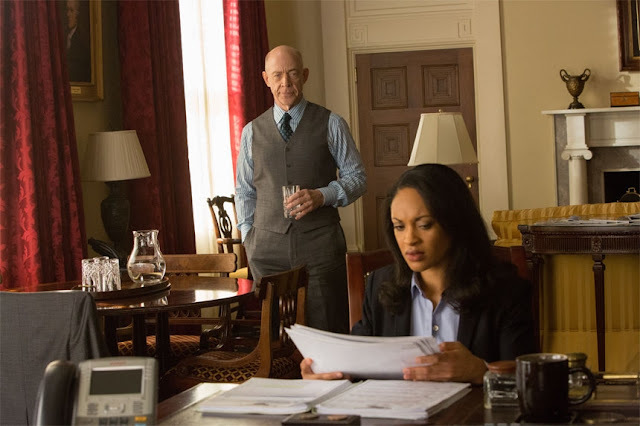 Fast forward to the future and we meet Ray King (J.K. Simmons) the director of financial crimes at the Treasury Department, he calls in to his office Marybeth Medina (Cynthia Addai-Robinson) and gives her a task, to find a man that the department has been looking for for years, a man they called The Accountant. 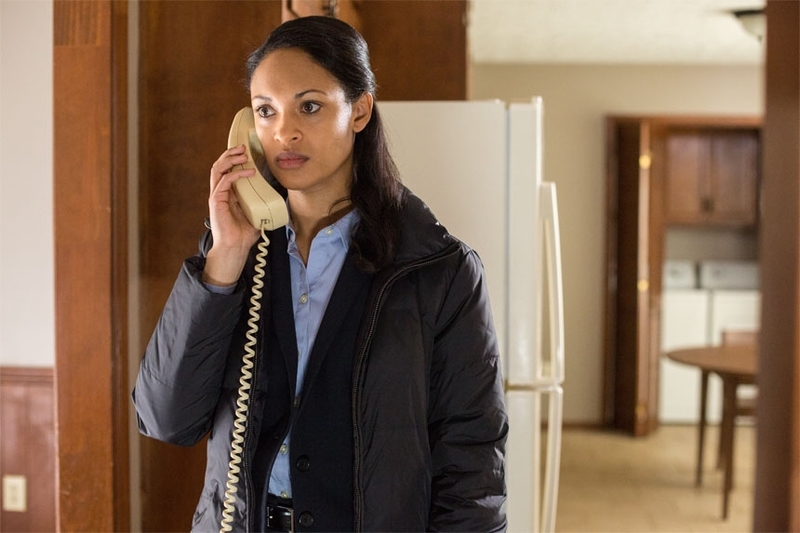 King tells Medina to find him or he'll have her past ruin her future at the department. 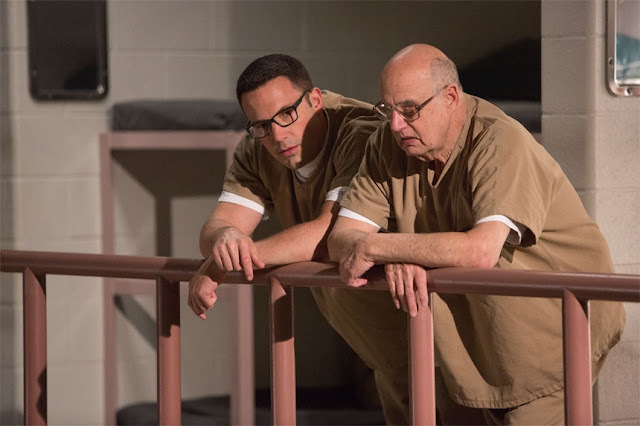 Chris introduction to the world of bookkeeping for special clients was due to one person, Francis Silverberg (Jeffrey Tambor) a convicted bookkeeper himself. The two meet by 'chance' in a low security prison that Francis was in and the two immediately bonded. They were inseparable. Francis tutoring him in the ways of a good bookkeeper and more day in and day out, making sure that Chris wouldn't forget a thing. Fast forward to the future again and Chris now has his own accounting firm in a small town where he helps the local townsfolk with the their tax returns in the most creative way that benefits them. As he speaks to his clients his eyes never leave his computer monitor, he goes through one remote video camera feed after another. On his drive back home from work he discusses his clients with Justine (Alison Wright) who also suggests that he take on more conventional clients and gives him the name of a company, Living Robotics. Meanwhile in Europe a man (Jon Bernthal) slips into the car of businessman and threatens him. When Chris visits Living Robotics he meets with Rita Blackburn (Jean Smart) and Ed Chilton (Andy Umberger) who represent Lamar Black (John Lithgow) one of the founders of Living Robotic. They want Chris to find the source of their financial problems. To help Chris with his task is Dana Cummings (Anna Kendrick). So a few things I like. I like the story and how each character is introduced and who and what they are. It isn't done in huge chunks of exposition or in a way that is obvious and direct. You get to make your own conclusions about each character. I like the flow of the story. Well paced, interspersed with humour at just the right moment to lighten the overall feel of the movie. Ben Affleck does a pretty good job. Enjoyed him here. Ditto J.K. Simmons. Everyone else was good too but they're there to keep the story moving. The story is about Chris. The visuals are nothing special as is the fight scenes but they work. The surprise you get at the big fight at the end. A few things that I didn't. There are glaring gaps in the story but bad as they are you it really doesn't affect the story much. In fact the gaps could be addressed in a later movie if there is one. As much as I enjoyed the other actors in the film you don't really feel their presence at all and I think that's unfortunate. Not too sure what this movie is really about or if it has a single overarching moral/goal/theme. For example, Avengers: Age of Ultron, you get what the movie's about and the end of it is of course Ultron being defeated. 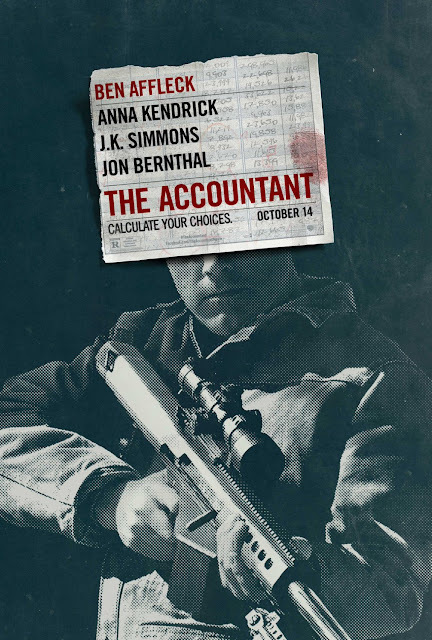 The Accountant, not so much. Chris has his own moral code and the other thing is is that he needs to finish what he started, and that's it. Is this a revenge story? Nope. Is it a story about a child with autism overcoming his disabilities to become an assassin? That's a weird takeaway. 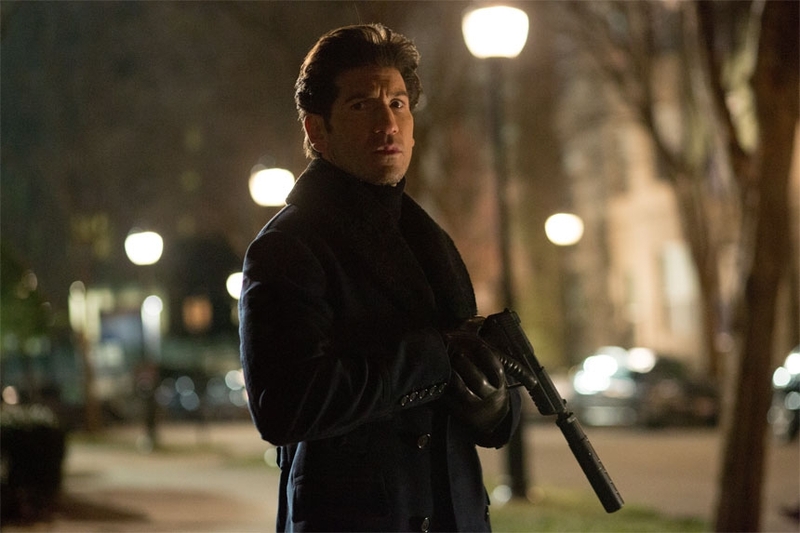 An accountant who is also an adept killer with an unusual moral code? Don't think so. All in all I really found this movie to be a fun watch. At the end of it I was thinking of a headline to a review of this movie, it said something to the effect that this movie is something like a superhero movie. I totally agree with it. This movie has the elements of a good superhero movie but it doesn't play out in the same way as a Marvel movie. In this one you are given tidbits of the superhero's origin story throughout the film while the main story unravels. And that's pretty refreshing. The thing about this movie is that it sorts of takes from many superhero movies and comics and sticks them in a single movie about an unlikely sort of hero with an unusual moral code which is never revealed to us. The only thing he doesn't have is the superhero outfit, everything else it there. The unusual upbringing, the unfortunate family situation, the training, the apprenticeship. They elements are there although a little unusual. Like I said I like this movie and hopefully there will be a sequel to fill in the gaping holes left in this one. I'm giving The Accountant a solid 3.9 out of 5. Go watch it. 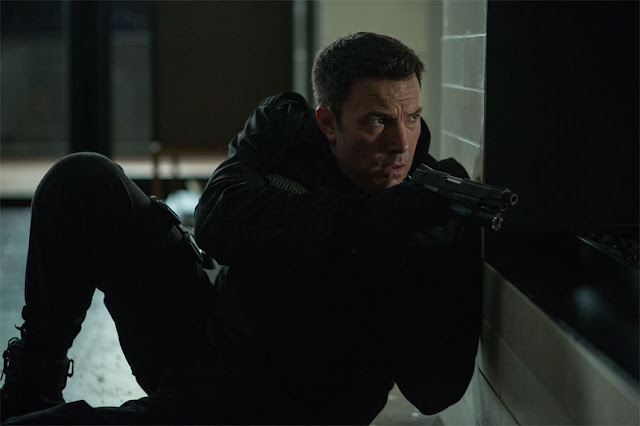 And tell me you don't sort of wish that Ben Affleck's upcoming Batman movie will be just as good if not better and not be like the other DC movies of late. A BIG THANK YOU GOES TO GSC CINEMAS FOR THE PREVIEW PASSES! !